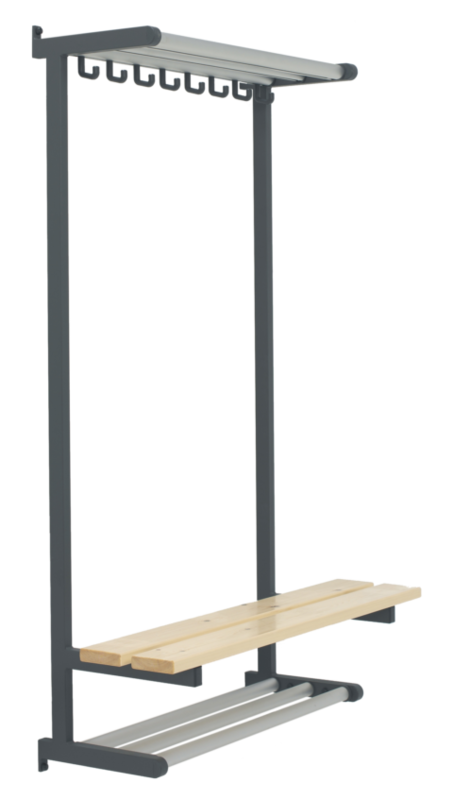 A flexible cloakroom system and stylish bench in one: free-standing cloakroom bench Tertio BDV+ has a double seat, double coat hooks and a bag rack. Available as standard in lengths of up to 3 metres. 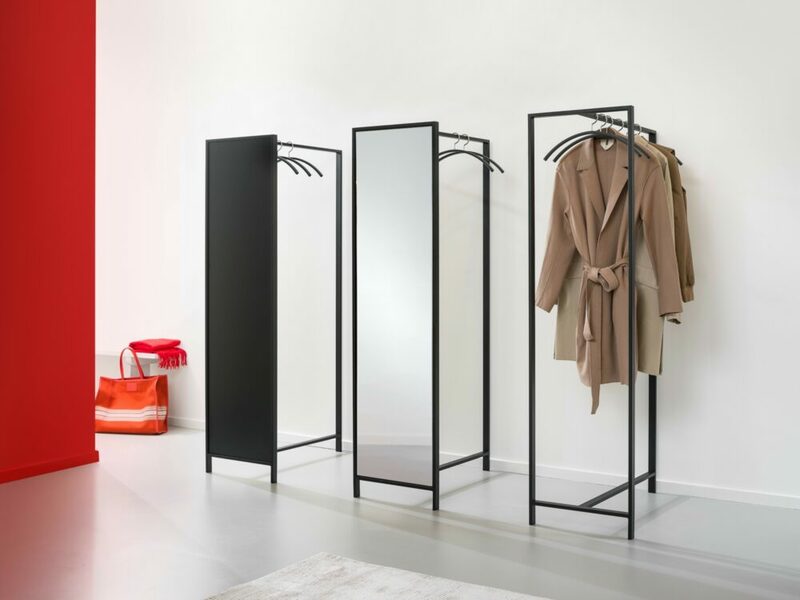 Tertio BDV+ is part of the extensive Tertio cloakroom range, designed by Gerard Kerklaan. The various sizes of benches are particularly striking thanks to the characteristic powder coated steel frame in combination with the clear lacquered beech or white plastic seat. 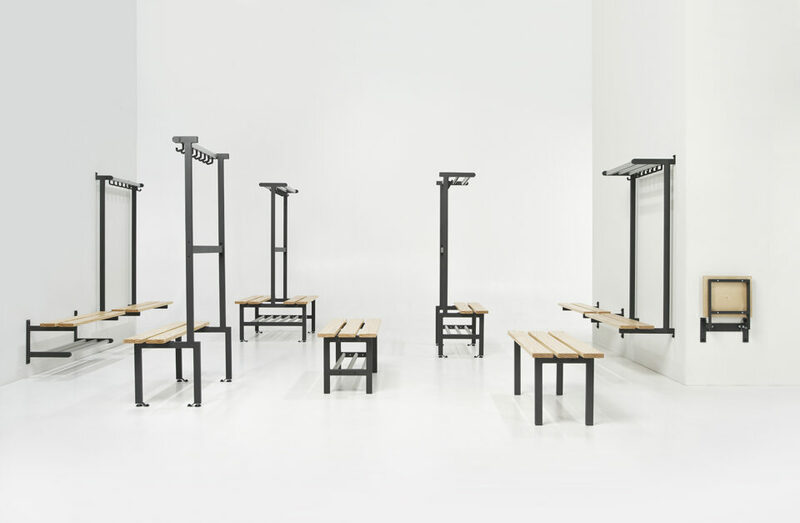 The extensive Tertio range includes benches and cloakroom stands that you can combine to your heart’s content to create a solution that meets every wish and is perfectly at home in all sorts of spaces. Tertio BDV+ knows like no other how to utilise space. The double hooks offer plenty of space for coats. 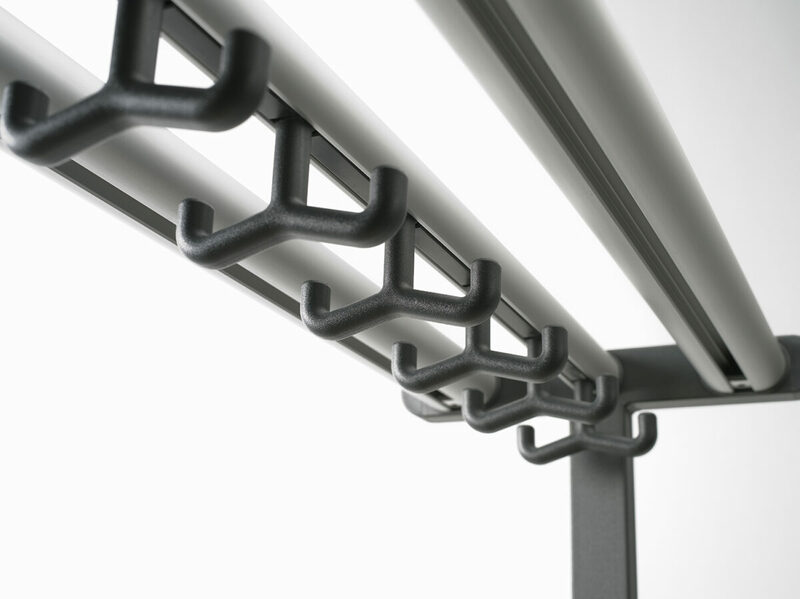 Tertio BDV+ is supplied as standard with floor anchoring materials. 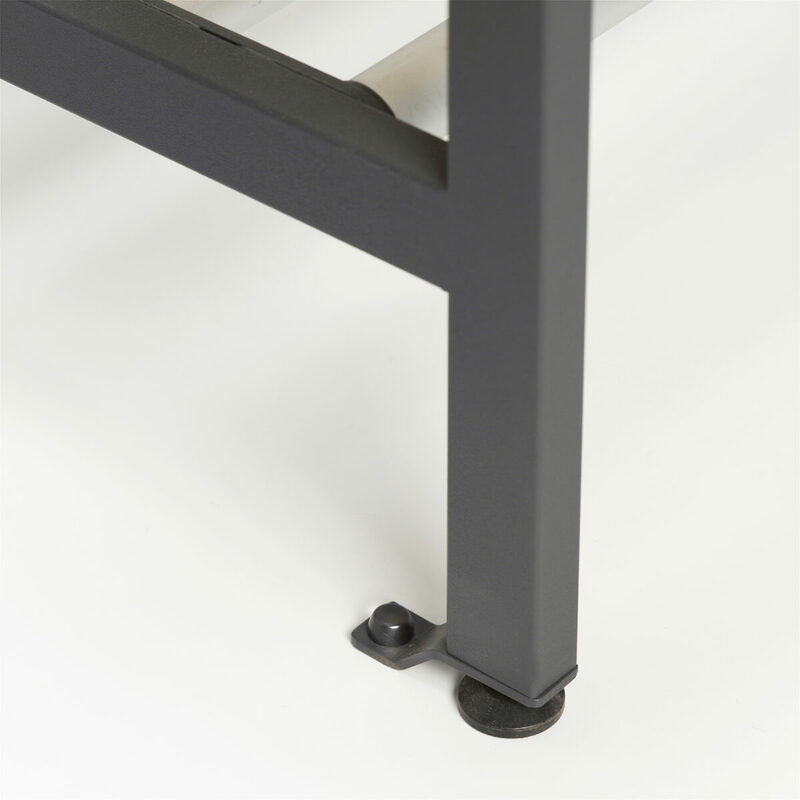 You can remove the floor anchoring by simply unscrewing the adjuster foot from the bracket. 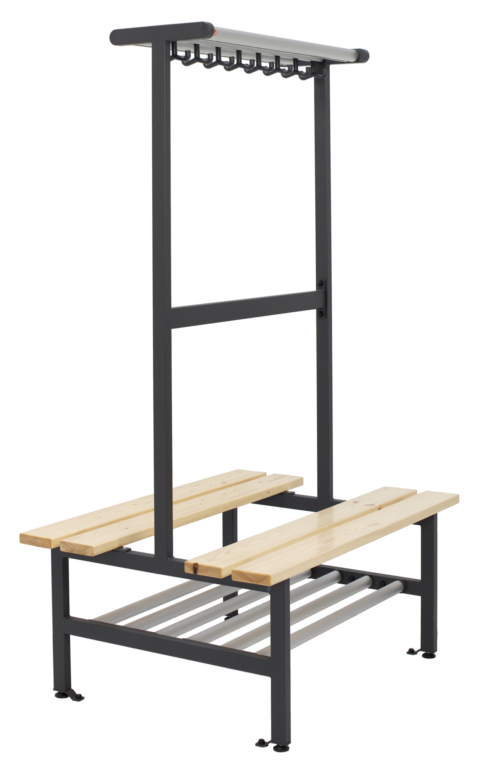 A flexible cloakroom system and stylish bench in one: free-standing cloakroom bench Tertio BDVS+ has a double seat, double coat hooks, a bag rack and a footwear rack. Available as standard in lengths of up to 3 metres. Tertio BDVS+ is part of the extensive Tertio cloakroom range, designed by Gerard Kerklaan. The various sizes of benches are particularly striking thanks to the characteristic powder coated steel frame in combination with the clear lacquered beech or white plastic seat. You can sit in style on the Tertio BV. 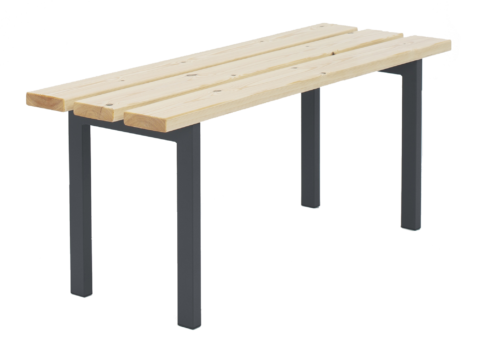 The free-standing bench with steel frame is available as standard in lengths of up to 3 metres. Tertio BV is part of the extensive Tertio cloakroom range, designed by Gerard Kerklaan. The various sizes of benches are particularly striking thanks to the characteristic powder coated steel frame in combination with the clear lacquered beech or white plastic seat. You can sit in style on the Tertio BVS. 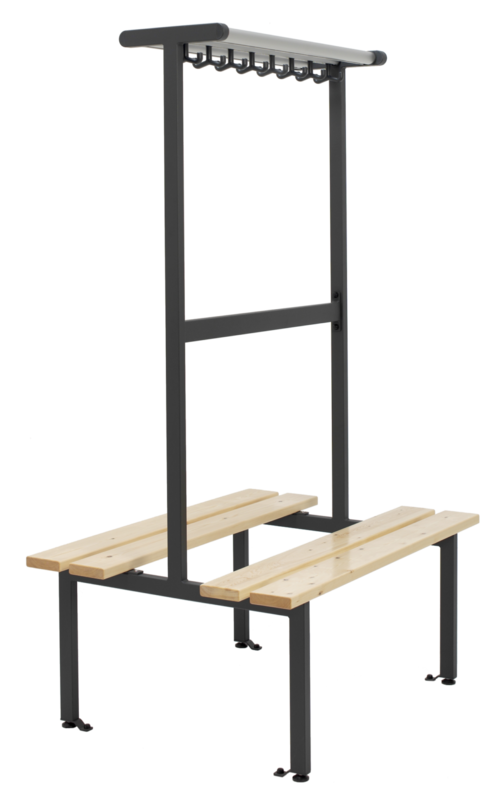 The free-standing bench with sturdy steel frame and footwear rack is available as standard in lengths of up to 3 metres. Tertio BV is part of the extensive Tertio cloakroom range, designed by Gerard Kerklaan. The various sizes of benches are particularly striking thanks to the characteristic powder coated steel frame in combination with the clear lacquered beech or white plastic seat. 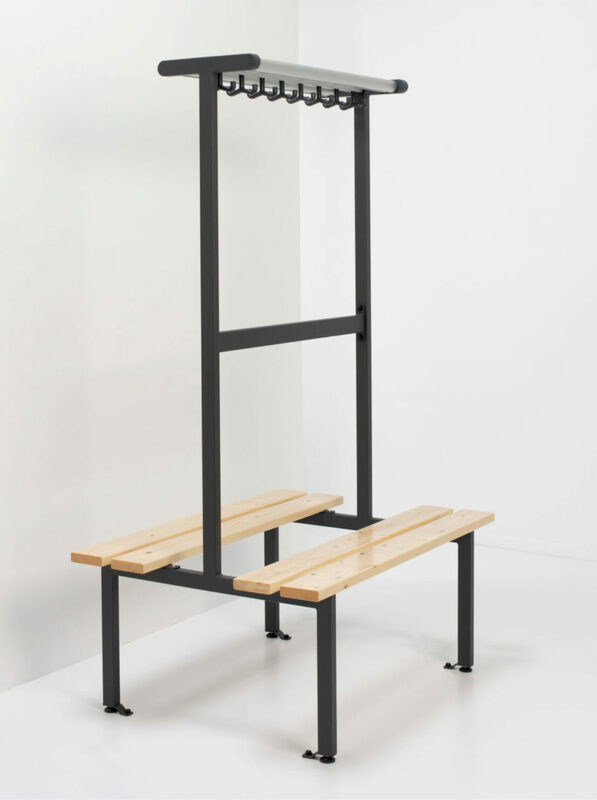 A cloakroom system and stylish bench in one: free-standing cloakroom bench Tertio BEVS+ has a seat and handy coat hooks, a bag rack and a footwear rack. The sturdy steel components ensure a solid base. Tertio BEVS+ is part of the extensive Tertio cloakroom range, designed by Gerard Kerklaan. The various sizes of benches are particularly striking thanks to the characteristic powder coated steel frame in combination with the clear lacquered beech or white plastic seat. A cloakroom system and stylish bench in one: wall bench Tertio BEWS+ is equipped with handy coat hooks, a bag rack and a footwear rack. Available as standard in lengths of up to 3 metres. Tertio BEWS+ is part of the extensive Tertio cloakroom range, designed by Gerard Kerklaan. 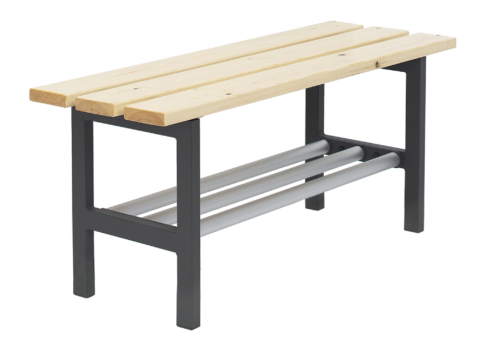 The various sizes of benches are particularly striking thanks to the characteristic powder coated steel frame in combination with the clear lacquered beech or white plastic seat.